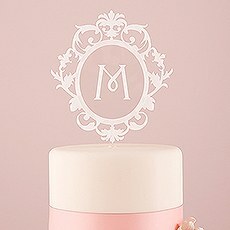 When less is more, simple and classic monogrammed wedding cake décor. 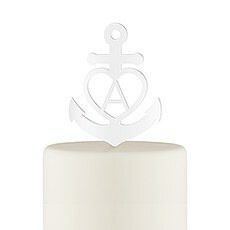 Filling your wedding day with thoughtful and personalized details is easy when you shop at Weddingstar. 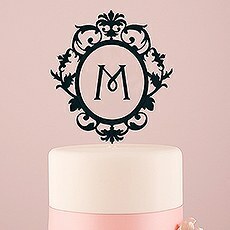 These monogram cake toppers offer an excellent way to put your own personal stamp on your wedding cake. 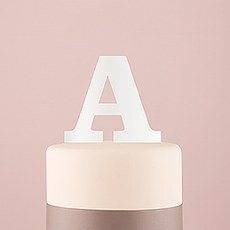 Made from delicate acrylic, these lovely designs add a sleek, stylish touch to any cake. 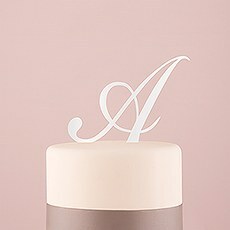 You'll love that the simple designs blend in so seamlessly with your wedding cake. 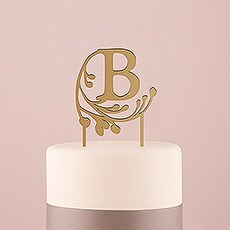 Use these monogram cake toppers on their own or combine them with colourful frosting, beautiful flowers or other wedding cake decor to create a lovely display.When you choose from these cake toppers, you'll find plenty of stylish designs which can be selected to fit with your wedding theme. 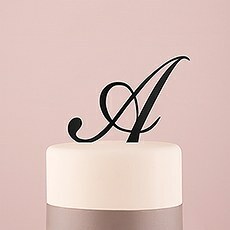 Choose a simple and minimalist design for a more modern look, or go with an acrylic cake topper with elegant flourishes to enjoy a classic wedding cake topper for your celebration. 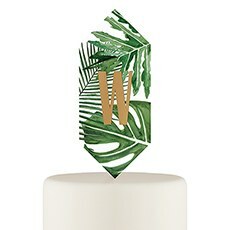 Because acrylic also washes off easily and holds up well over the years, you can hold on to your cake toppers as treasured keepsakes and reuse them for special occasions like birthdays and anniversaries. Just select the design you like, choose your monogram letters and your beautiful cake topper will be in your hands before you know it.Keep in mind that these monogram cake toppers also make excellent gift items for newly engaged couples. 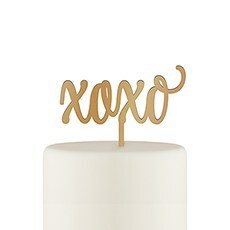 Consider giving one as a gift at an engagement party or bridal shower to show the happy couple how excited you are for their upcoming wedding.Browse our full selection of wedding decor at Weddingstar to find other great accessories for weddings, bridal showers and other important celebrations. 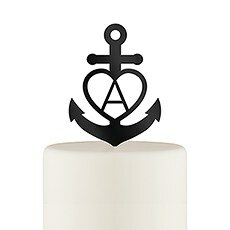 You can design your own napkins, find charming guest favours and pick out themed decorations when you shop on our site. With our affordable prices and huge selection, it's easy to plan a stellar event while staying within your budget.